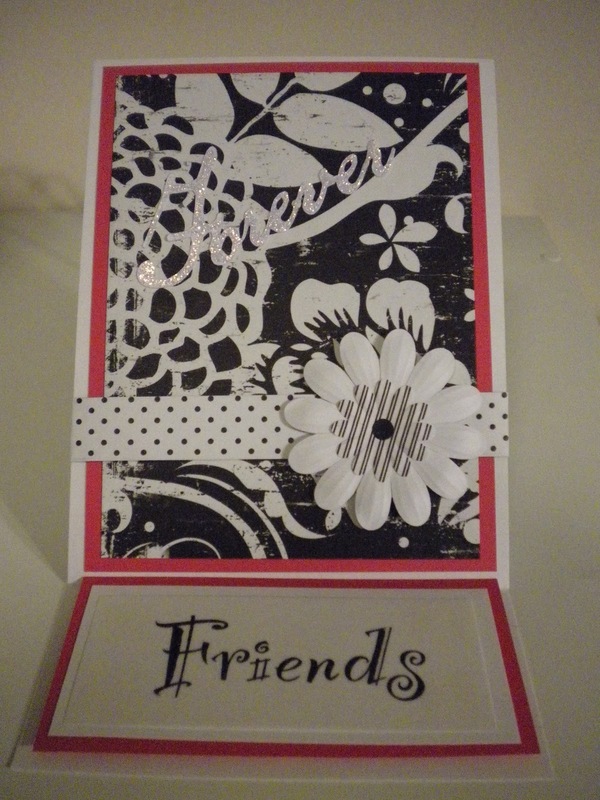 Designs made using the Cheerful Seasons cartridge from Creative Memories. Again it has been a while since I posted. It has been one heck of a year not only for me but for a lot of people. I don't usually celebrate the New Year but this is one year I'll be glad to forget. Anyway I finally found the time to get some work done with my crafts. I made these cards as a drawing prize for a weekend crop I am doing. They are all made with Creative Memories paper. The cutouts are Cricut. The Christmas card cutout is from the Snow Friends cartridge and the other two cards cutouts are from the new Creative Memories Cartridge Reminisce Accents. Wow! I can't believe I'm posting again on the same day. I have always loved crafting. Some of the crafts I have enjoyed over the years are Cross Stitching, Knitting, Crocheting, and Painting. I have never saved much of what I have done. I usually make gifts for people that I would really like to have myself and give it away. But Mom's always save everything their children make them (sometimes they may not even like it). Posted is something I made for my Mom many years ago that still hung on her wall until today. This next card I think is my favorite. The butterfly is from the Home Decor Cricut Cartridge. I cut the bottom layer then adhered vellum to that. I then cut another butterfly the same size and covered it with stickles. The blue strip is an svg file. This is my least favorite card. It seems to missing something. Leave a comment if you would. This card was made for my son's birthday. I used my Cri-Kits pens and a svg file for the Happy Birthday. The fish and fishing pole was cut using the Camp Out cartridge with my cricut. I embossed the mats and sanded them to get the "poka dot" effect. Hope you like!